Source Naturals Policosanol, part of the Cholesterol Rescue family of products, is a blend of compounds isolated from natural plant waxes. Policosanol contains several long chain fatty alcohols, including octacosanol, hexacosanol and triacontanol. Animal and in-vitro research has shown that these compounds may support the cardiovascular system and inhibit lipid peroxidation as well as support macrophage activity. Coenzyme Q10 has been added to promote adequate levels of this important nutrient. 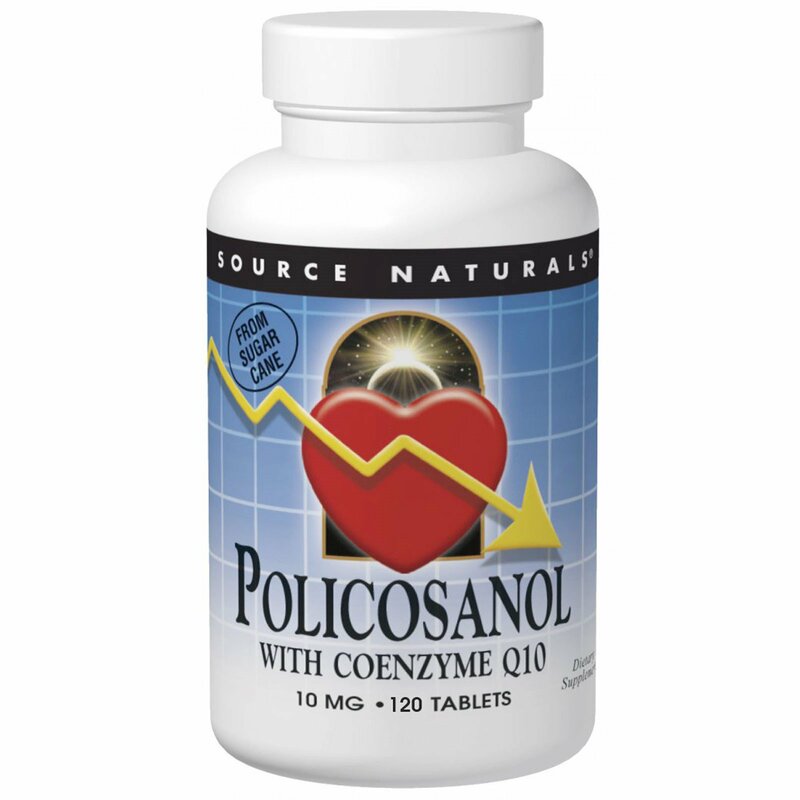 Research indicates that CoQ10 levels in the body may be lowered by compounds that work on the same metabolic pathways as policosanol. CoQ10 supports the cardiovascular system and cellular energy production. Microcrystalline cellulose, stearic acid, colloidal silicon dioxide, and magnesium stearate. Caution: If taking anti-platelet medication, such as daily aspirin, consult your health care professional before using this product. Not for use by women who are pregnant, may become pregnant, or breastfeeding women.